I was in an accident. I got out. I'm safe now." 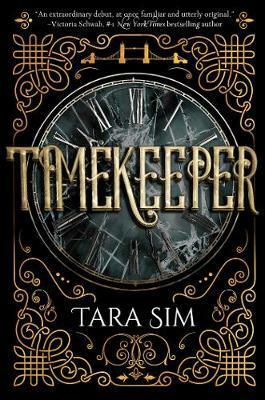 An alternate Victorian world controlled by clock towers, where a damaged clock can fracture time--and a destroyed one can stop it completely. A prodigy mechanic who can repair not only clockwork, but time itself, determined to rescue his father from a Stopped town.A series of mysterious bombings that could jeopardize all of England. "It's set in an alternate reality England, so there is tea and scones. Nice. I cautiously admit I could tell the author wasn't British, but at the same time it wasn't GLARINGLY obviously so I still got the old Victorian vibe quite nicely. Plus tea.